Ann Clune created these peace manikins and placed them in Otsiningo Park, October 2018. 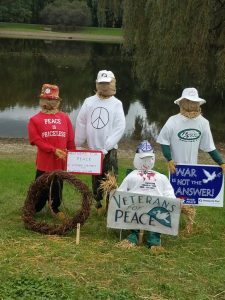 They were part of a Halloween scarecrow competition. Check them out. Hope the walkers and joggers in the park get the message.